Weather conditions remain testy, but Coen, Rickard, Adrian and TJ are back on the job! 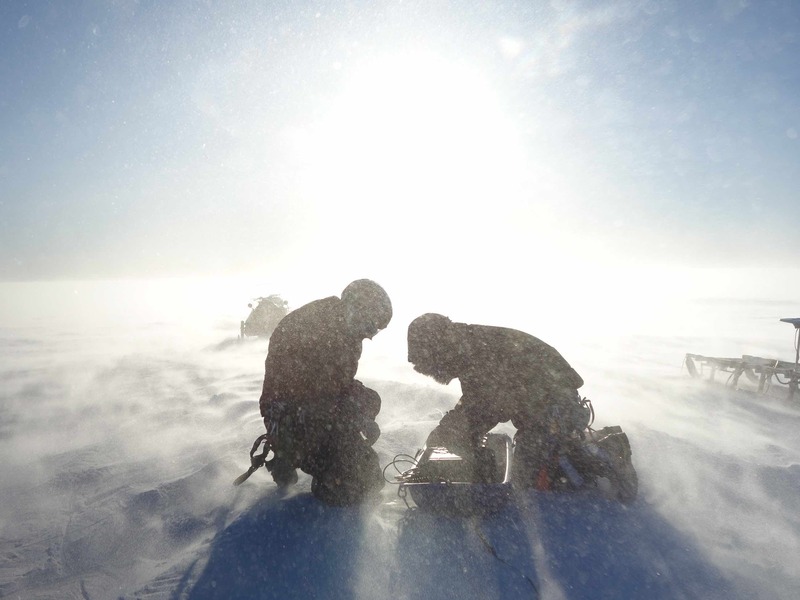 Their biggest challenge is a strong, persistent flow of air from the interior of the ice sheet. These winds occur when air comes in contact with a cold surface cooled by radiation. The team is reporting especially strong winds early in the mornings. This is because cooling during the night-time causes a katabatic flow in the early morning, when cooling from contact with a cold surface makes air at high elevation descend beneath warmer and less dense air. 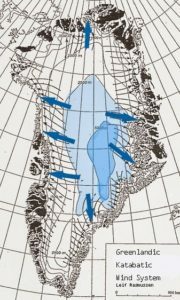 If the descending air mass remains cold, the katabatic flow becomes very strong, with wind speeds over 50 m/s or 100 knots. 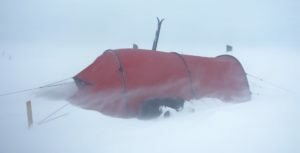 In Greenland, this is known as ‘Piteraq’ or ‘the wind that attacks you’. The descending air may also warm as it compresses during its descent, in which case it is called a Foehn wind. Foehn winds are characteristically warm.